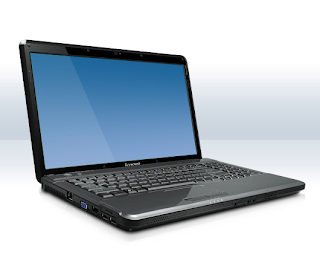 A friend of mine called me the other day with a laptop problem: his Lenovo G550 laptop suddenly stopped working - and some smoke was coming out of it. I thought to myself, that once there is smoke, there's not much to do. I agreed to take it apart and have a look at the insides of the laptop - there might be something that I can fix. 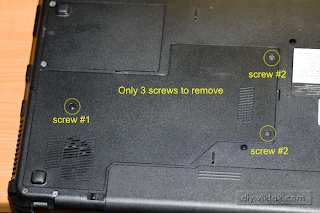 I quickly removed the 3 screws that were holding a small area of the back panel. From the shape of it I guessed that this is where the CPU, the GPU and the fan are. Only 3 screws needed to be removed. 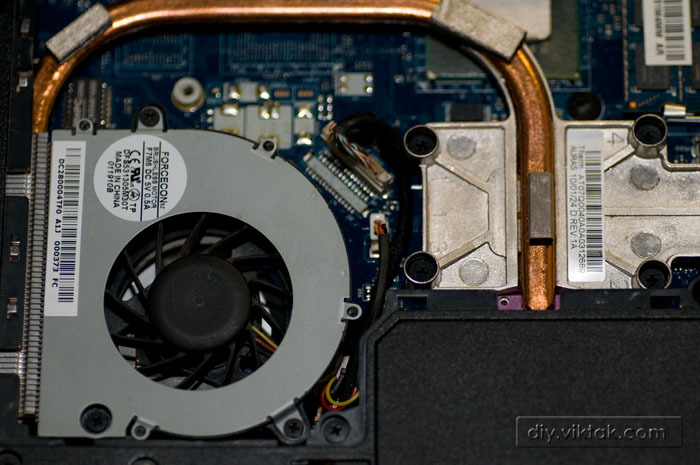 Under the cover are the CPU and the fan, connected by a copper tube to draw heat away from the CPU. I saw some dust collected around the fan, so I decided to remove that too. 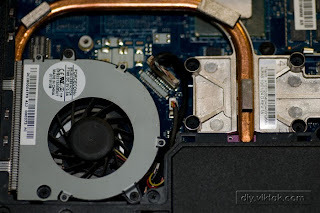 When I removed the fan from its place everything became clear: the fan couldn't do its job as the vent grid was completely blocked by dust that had been collected in years of use. The dust bunny was so thick, that I could remove it easily with a pair of tweezers in one piece. Grid and its surroundings are clean now, nothing gets in the way of airflow. After the cleaning operation I put all the parts back together plugged in power switched on the laptop and hoped for the best. ..and the laptop booted normally, as nothing had happened. I even played a few graphics intensive games just to stress the computer, but after hours of operation it's still working.I seems no permanent damage had been done to the CPU/GPU. The above story supports what I tell my friends and customers: Computers should be cleaned about once a year, otherwise dust builds up in them and prevent the airflow that cools the complex internal parts, like CPU and GPU. One of the worst enemies of electronic stuff is heat. When there is no cooling the heat builds up and heat sensitive parts break down. 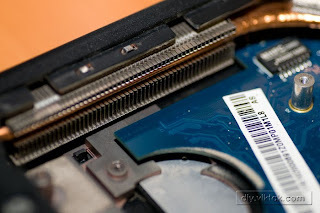 Keeping the inside of your computers clean will help them last longer. 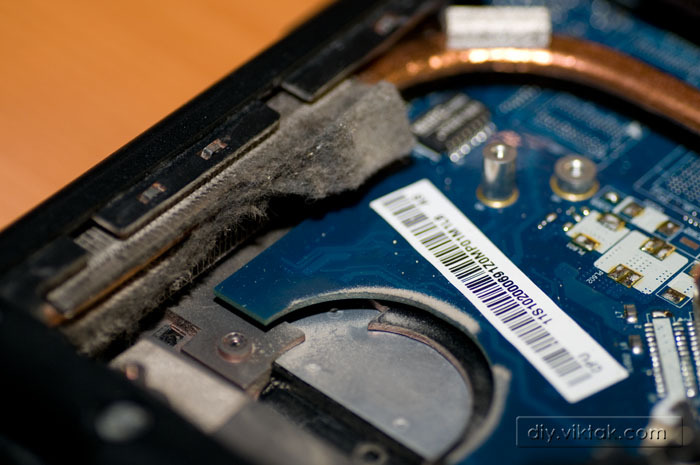 The other lesson learnt (hopefully) is that cleaning a computer (whether it's a desktop computer or a laptop) is very simple to do. Anybody can do it. And everyone should do it. A typical technician would charge around €40 for the above operation. As you could see there was no high tech stuff involved. Unscrewing a few screws and a couple of euros worth of compressed air from the local hardware store (and a bit of patience) are all you need to do this job on your own. At the end you not only save a few euros but will have the feeling of accomplishing something "cool".